Happy Monday! Kim here to share a fun winter card with you using Mr. & Mrs. Snow Duo. 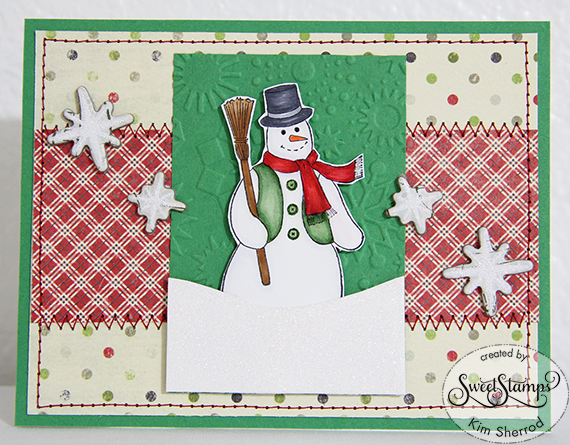 I colored and fussy cut the snowman then adhered him onto an embossed background using 3D tape. The snow was done by using spray adhesive then sprinkling with Glitz microfine transparent glitter on top. I did some stitching for added texture. Super cute! Love the stitching and patterned papers! That's one cute snowman! I love the design! Aaaw, super cute card! Fun pattern papers and adorable stitching! 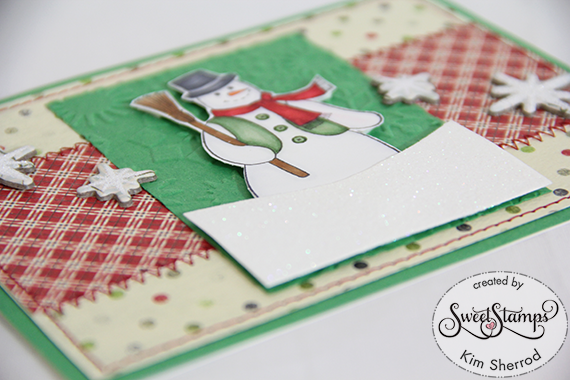 I love your sweet snowman:) Awesome card design!